Caroline Paul was recovering from a bad accident and thought things couldn't get worse. But then her beloved cat Tibia disappeared. She and her partner, illustrator Wendy MacNaughton, mourned his loss. Yet weeks later, Tibia waltzed back into their lives. His owners were overjoyed. But they were also ... jealous? Betrayed? Where had their sweet anxious cat disappeared to? Had he become a swashbuckling cat adventurer? Did he love someone else more? His owners were determined to find out. 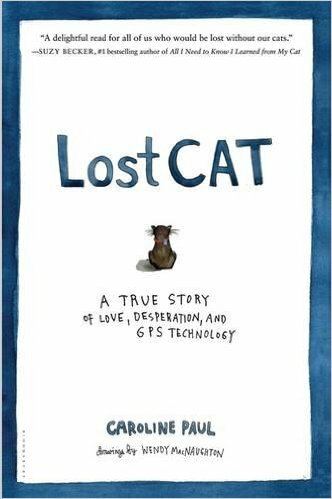 Using GPS technology, cat cameras, psychics, the web, and animal communicators, the authors of Lost Cat embarked on a quest to discover what their cat did when they weren't around. Told through writer Caroline Paul's rich and warmly poignant narrative and illustrator Wendy MacNaughton's stunning and hilarious four-color illustrations, Lost Cat is a book for animal lovers, pet owners, and anyone who has ever done anything desperate for love.